One of the very first crafts that I learned how to do when I was a little girl was how to make Pysanky, aka Ukrainian Easter eggs. I remember sitting at the kitchen table with my father when I was maybe seven years old, and watching as he showed me how he wrapped fat rubber bands around the eggs to use as guidelines for drawing the first division lines on the eggs in pencil. After our designs were penciled onto our eggs, we then would use a traditional tool called a kistka, or stylus, to draw over the lines with hot, melted beeswax. Next would come a succession of dye baths, in between each bath we applied additional wax to our eggs until our designs were complete. At last came the fun part; melting all of the wax off of our eggs to reveal the bright colorful designs below. Our eggs were never perfect, but the magic was there, and the tradition was born. Nowadays I have a egg lathe (yes, there actually is such a thing!) 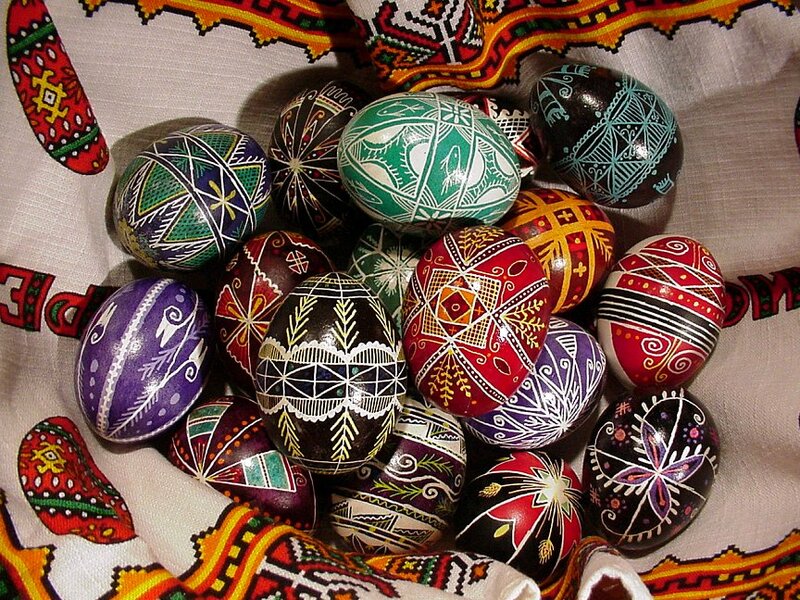 to help me draw the first dividing lines on my eggs, as well as modern dyes in a myriad of colors, and even electric kistkas, and though I use all of these modern tools to help me make my pysanky, I also still use traditional tools as well. And they are becoming hard to find. Some of the best places to find traditional tools and supplies - for any traditional craft - is from another artist who specializes in the same craft. In an old, "dying art" (no pun intended) craft like pysanky, those artists are becoming few and far between. So where did I go to look for books and supplies? Ebay, of course. And I guess it was my lucky day, because I happened to stumble upon a newly-listed auction for an entire box of old pysanky supplies. I scoured the photos, thrilled by what I saw. Inside the box there were a few books on pysanky designs, the traditional pysanky egg dyes, old fashioned kistkas as well as a of the few newer electric ones. I emailed the seller immediately and offered him $75.00 for the box. He agreed, and soon I had my treasures. When my box arrived in the mail I eagerly went through each and every item. It was clear that these supplies had belonged to someone who practiced the craft for many years. There were things written on some of the pages of the books; notes about certain dye colors used for certain designs, things that only someone very serious about their art would make note of. But the biggest surprise was when I got to the bottom of the box and took out the last book. Beneath it, was an antique envelope of gold leaf! This unused package of gold leaf worth around $100.00! To me though, the real treasure was in the old pysanky tools and books. Want to learn how to make your own Ukrainian eggs? Check out this blog post a few years ago. How cool and so unique! Thanks, it's a fun craft! 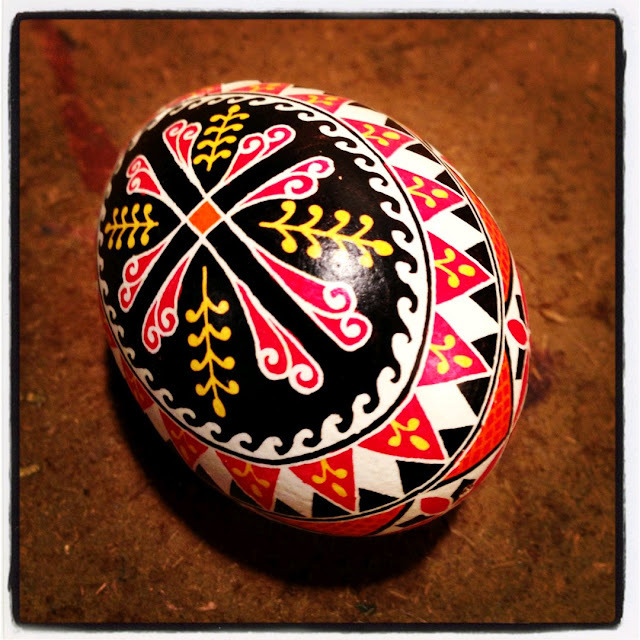 I've always admired those Ukranian painted eggs! In fact I was gifted one years ago...I wonder if I still have it?! These are amazing! We always dyed eggs growing up, but it was the box from the grocery store, nothing this artistic. Thanks! You should try this craft!